Dhanteras, the auspicious day today (Friday) to buy precious metals in the form of jewellery and coins has spiked consumer interest and they have been buying jewellery and silver utensils since morning. It is still too early to say how much the demand will increase but so far the sentiment has been good with increase in footfalls and also increase in sales. Gold prices tumbled after a month of steady run at Rs 31,000 mark to Rs 30,020 per 10 grams in the beginning of the month and since them consumer sentiment has been buoyed up. He reasons that good monsoons as experienced in all parts of the country coupled with a softening of gold prices have improved the sentiment. Somasundaran was optimistic about the upcoming wedding season which he said would be promising for the trade and consumers alike. Vijay Jain, CEO, Orra Fine Jewellery which has 32 stores across India says that sales have seen a much better demand in the northern markets after a sluggish growth in the past four years. 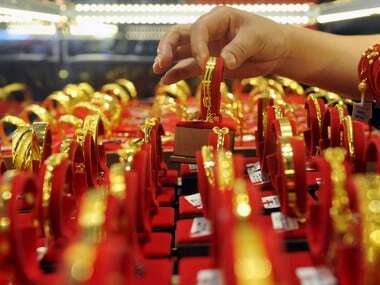 Gold coins have been in high demand especially 1 gm coins at Rs 3,000, 5 gm at Rs 15,000 and 10 gms at Rs 30,000. “We outsold our stock within a few hours of opening the store across the country,” said Jain. 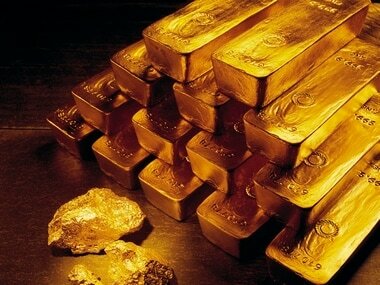 Kishor Narne, Head of Commodities & Currencies, Motilal Oswal Commodities, said that the bullion traders were bullish on gold and are not surprised that demand has been good at the beginning of this season. 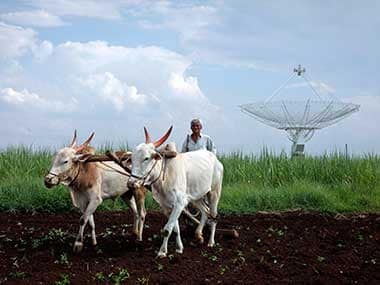 Prices have been upbeat in the last 3-4 months and with a price correction in the last 15 days timed at the festive season, demand for the precious commodity has gone up. Some stores have seen increased demand on the back of schemes and freebies that they offer customers. 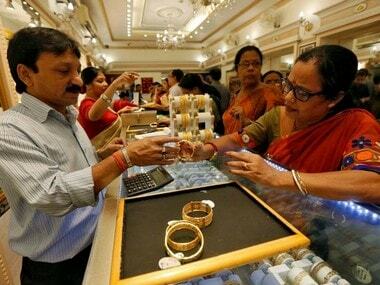 Ghanasingh Jewellers, which has two stores in the country – Bandra, Mumbai and Hyderabad said that they have seen a 20 percent rise in footfalls through the day so far (6 pm) compared to the previous year. What has attracted customers is the 50 percent discount on making charges and assured gift on every purchase. “We have seen a lot of demand for gold jewellery of 10 gms at a price of Rs 30,250 and also small ticket purchases of gold rings and earrings costing between Rs 5,000 to Rs 25,000,” said Krishaa Ghanasingh, Director, Ghansasing Be True. Asher O, Managing Director (India Operations) - Malabar Gold & Diamonds, said that though the demand for the precious metal was subdued till September, but after that demand has picked up during festive occasion and we are expecting many customers for Diwali. “Compared to last year’s Diwali festival, we are expecting a 20 percent to 25 percent increase in sales during the celebrations,”. According to jewellers and MMTC-PAMP India, gold demand has picked up in the wake of good monsoon and favourable price levels. There was positive response and more footfalls. There was robust demand for gold and silver coins as also bars this time as prices are at favourable levels. People are buying for investment purpose. We expect 15-20 percent increase in sales from over the last year," MMTC-PAMP India President (Marketing) Vipin Raina told PTI. Narne of Motilal Oswal Commodities expects a 15 to 20 percent rise in prices despite lack of global appetite. Prices would go up 15 percent to Rs 34,000 for 10 gms by next year, he said.